Perhaps one of Audi's most underappreciated vehicles, the 2017 Audi A6 luxury performance sedan is really one of the better choices in the German giant's lineup. Although the diesel engine is now off the menu, a new Competition trim adds a sportier feel, while the V8-powered S6 remains a thorn in the side of BMW's M5 and Mercedes-Benz's E63 AMG. Audi a6, the best all around vehicle you can buy. I love my Audi a6. The car comes with all the features I would want in my car and some. The Quattro all wheel drive is outstanding and it comes with plenty of power. It is has a roomy interior, comfortable ride but yet still aggressive handling. Great boss sound system, with an outstanding radio, navigation and display. Audi review on 2017 a 6 car that was recently bought and has low mileage. The car is luxurious has all the whistles that are needed with technology. It rides very well and seats 4 comfortably. This is my 5th Audi. The car and service are better than the financing of the car. The paint on the car holds up well due to FL heat. The internal sound system lays well. My Audi car and why I love it. I don't really have any problems with my car. I think that my car is perfectly fine the way it is and I do not think that it needs any fixing or repairs. I have had this car for a few years now and it has not caused any problems for me. I would like to keep this car for much longer. 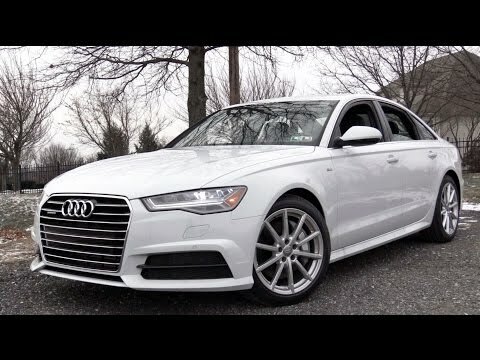 2016 / 2017 Audi A6 3.0T Review and Road Test | DETAILED in 4K! What&#39;s It Like To Drive The 2017 Audi A6 - Boring? Volkswagen will notify owners, and dealers will install a PODS system repair kit, free of charge. The recall began November 29, 2018. Owners may contact Audi customer service at 1-800-253-2834. Volkswagen's number for this recall is 74D5.